My love for all things Ruskin Bond is no secret. I have always found myself indulging in his books whenever I have needed a break from the usual monotony, which sometimes sinks in while running a book blog. Just like always, his words and his stories never fail to provide the much-needed respite. Ruskin Bond is a like a panacea to all my maladies and this book was no different. The White Tiger and Other Stories is a book that I picked up from the Kindle Unlimited section. To know more about my thoughts on the book, please continue reading. What is the book all about? The book is a collection of 9 short stories which have been compiled by Ruskin Bond. The collection includes stories not just written by Ruskin Bond but also by other eminent authors like Arthur Conan Doyle, Alice Perrin, Bram Stoker, Rudyard Kipling, C.A. Kincaid etc. The tales in The White Tiger and Other Stories revolve around the theme of the supernatural. There are stories about mysterious talismans, reincarnated werewolves, men turned into tigers, mischievous Jinns, phantom rickshaws and revenge seeking dead mistresses. What I absolutely loved about this book is its variety. The stories take us from the German countryside to the arid regions of Upper Sindh, from suburban London to colonial Shimla. In addition to these varied locational settings, the stories are unique and have a distinct flavour that makes each of them stand apart from the other. ~ Bram Stoker, Dracula’s Guest. My favourite story was undoubtedly Dracula’s Guest by Bram Stoker. Set in a German countryside, it talked about a haunted village which was abandoned hundreds of years ago because the residents of the village feared that there was something sinisterly wrong with the village graveyard. Hundreds of years later, an adamant Englishman decides to explore that very village which the locals fear the most. He decides to do so against the advice of the locals and on the occasion of the infamous “Walpurgis Nacht” or “Walpurgis Night”. What follows is both adventurous and scary. Another story that amused me to no end was The Monkey’s Paw which is about a wish-granting paw from a dead monkey. A cunning tantric with evil designs had once created the paw which has the power to grant three wishes each to three people who come into its possession. From the mysterious and exotic plains of India, it soon finds itself in the hands of an Englishman who ultimately pays for his ignorance and disbelief. Since I read the Kindle version of the book, I am going to talk about the issues that I found in this edition. Firstly, there were a couple of editing errors. Though not many in the count, they did hinder with the reading pleasure. There were also some issues with the layout and alignment. The book did not support the different alignments which are otherwise available in most kindle ebooks. I would have loved it if the book were a bit lengthier and would have included more such stories. I just hated it when it ended too soon. Other than this, there were at times certain colonial undertones throughout the book, which of course would appear unpleasant to any Indian reader. This was because many of the stories were written by Englishmen who served the crown during the 1800s and early 1900s. These men obviously suffered from the racial superiority complex that was typical of those days. This complex is more often than not reflected in their writings. Overall, the book is an entertaining read and I will surely recommend it to all my readers. Just over 150 pages, it is a perfect way to pass a lazy Sunday afternoon or a creepy Saturday night. 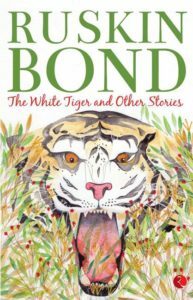 Pick The White Tiger and Other Stories if you are a Ruskin Bond fan like me. Pick the book if you enjoy variety. Also, pick it up if you like vintage horror or horror stories set in the 1800s and early 1900s. Skip the book if you don’t like supernatural stories/horror fiction. The book is not strictly “chill-you-to-the-bone” kind of material so if you are looking for an extremely spine-chilling read, it will be better to pick something else. 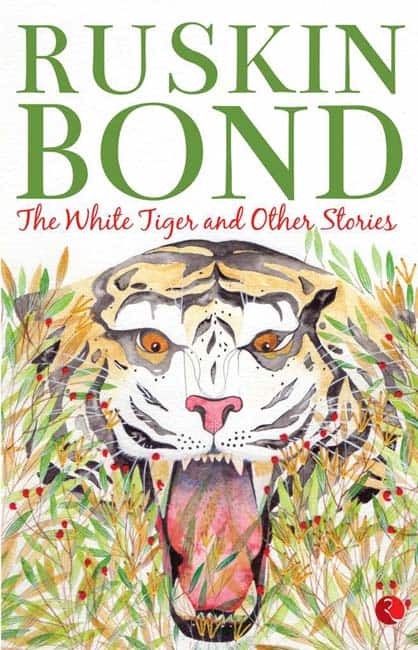 Readers who generally don’t enjoy Ruskin Bond books would also do better to skip The White Tiger and Other Stories. Can’t wait to read it? Buy your copy of The White Tiger and Other Stories using the link below.